Gardner® WET-R-DRI® Ultra Premium Roof Leak Repair is our best quality roof cement. This highly flexible product can be used year round in any weather condition to stop and seal leaks. This high performance product provides an exceptionally long lasting seal, formulated to repair cracks, seams and holes in roofing materials. It is also designed to be used in new construction and in setting flashings, drip edges and other roofing edges. It seals and provides a rubberized layer of waterproofing protection. Dries black. Use on roofs around skylights, vents, exhaust pipes, chimneys, valleys, and in the construction or repair of flashings, roll roofing and shingles. 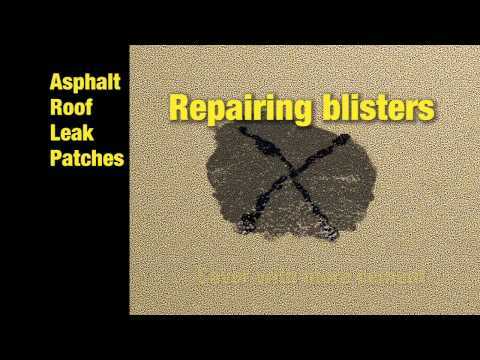 Great for repairs and installation of Mod-Bit membranes, or on laminate shingles. Also excellent for use as a heavy duty below grade and underground waterproofer, and dampproofer. Also available in a 2.75 gal bucket. 0391-GA 1 gal 6.75" x 6.75" x 7.75"
0399-GA 10 fl oz 2" x 2" x 11.5"